Ross Delston is an independent Washington, DC-based attorney, expert witness, and former U.S. banking regulator (FDIC) who has specialized in Bank Secrecy Act/Anti-money Laundering (BSA/AML) issues for over 18 years. Ross has been named as an expert witness on AML and banking issues in numerous civil cases in Federal and state courts including US v. Prevezon, a civil forfeiture action on behalf of the U.S. Attorney’s Office (SDNY). He has also participated in monitorships for two global financial institutions, AIG and BNP Paribas. 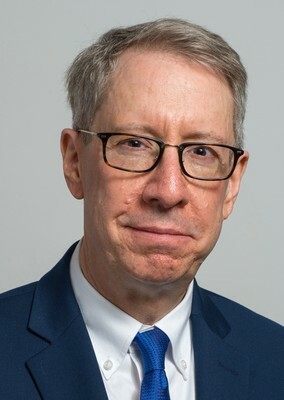 Ross has been a consultant to the International Monetary Fund (IMF) since 1997 and has participated in the AML/CFT assessments of nine offshore financial center assessments. He is the co-author of an August 2018 article, “Contributor Report: The Top 20 Ways for U.S. Crypto Exchangers to Avoid Unwanted Federal Scrutiny,” https://www.acfcs.org/news/411810/Contributor-Report-The-Top-20-ways-for-U.S.-Crypto-Exchangers-to-Avoid-Unwanted-Federal-Scrutiny.htm. Ross has presented on anti-money laundering on banking issues at numerous conferences and seminars throughout the world and moderated a fireside chat with Preet Bharara, former US Attorney (SDNY) for a client event in 2018. Ross has been quoted on AML and banking issues in publications such as the New York Times, Washington Post, The Wall Street Journal, Bloomberg, McClatchy, the American Banker, the Nikkei (Japan) and the Hindu Business Times (India).